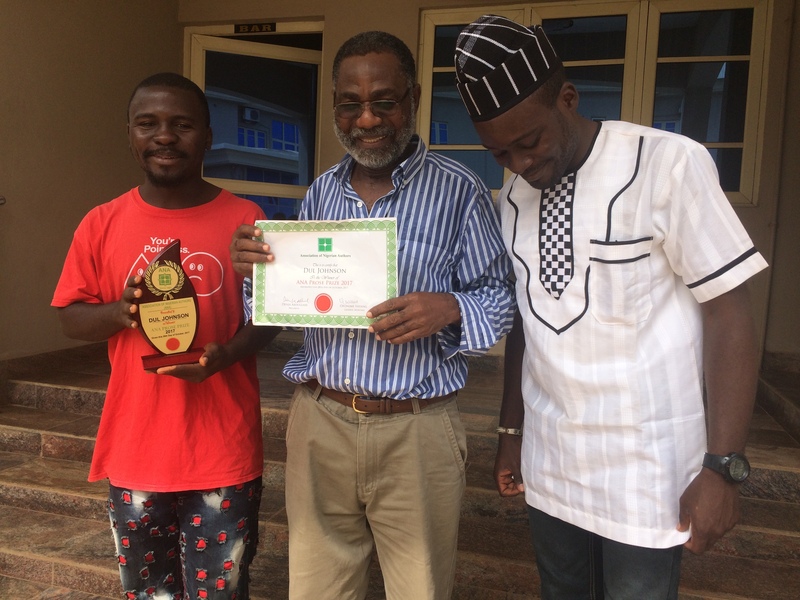 Congratulations on your award of Association of Nigerian Authors prize for Prose 2017 for Across the Gulf, which came only three years after your 2014 publications of Deeper into the Night and Melancholia (which was shortlisted for the Association of Nigerian Authors’ Prize for Drama 2014). What is the feeling like and how significant is the award to you as a person, your writing, your work and perhaps, those around you? Prizes did not mean much to me in the past, as you know. I’ve been publishing since 1998, but I never sent my work for any literary contests until 2015, when much pressure was mounted on me to go for ANA prizes, and I entered for prose and drama. 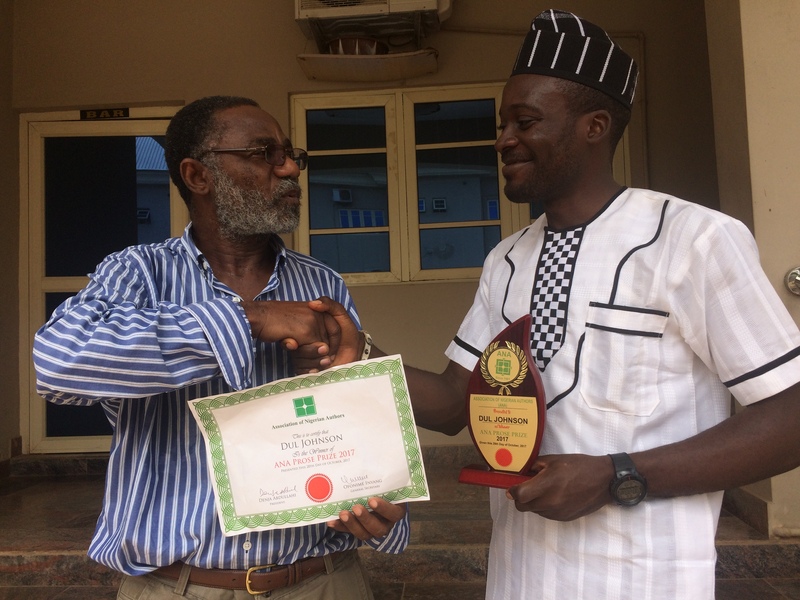 The same year or the year after, I think, I entered Deeper for the NLNG prize (of course, it didn’t get a mention – LOL!). Now, to the winning of the prize. What is the feeling, and how significant? It is a huge recognition of one’s efforts, so, yes, it is a good feeling; it is a good thing to be honoured, no matter how little the prize money is. The pronouncement should generate more interest in the book, and in one’s work as a whole. And that makes it significant. It should bring me more readers – which is every writer’s desire. Maybe it also brings a little more respect to my person among peers? I had gone to the convention not bothering a hoot about the shortlist. Winning or not winning was the same for me, and so I did not even attend the ceremony. But when my publisher texted to say “We just won the prize”, a very different feeling came over me. Suddenly, it meant so much to me. I wonder why. 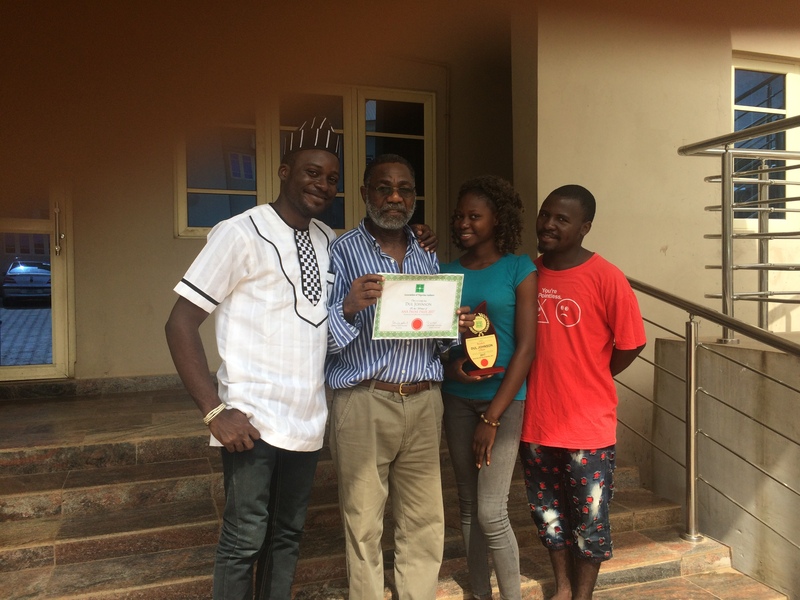 On my birthday in mid September, one of my children had wished me success with my writing, including winning prizes and “getting the recognition you deserve”, he said. Maybe that was his prayer being answered. Maybe that was why it suddenly meant so much to me. And, of course, as I said, my work gets promoted; hopefully, I should say. Nigeria is not one of those book-friendly nations as we know. So, it’s likely to gather larger readership gradually. 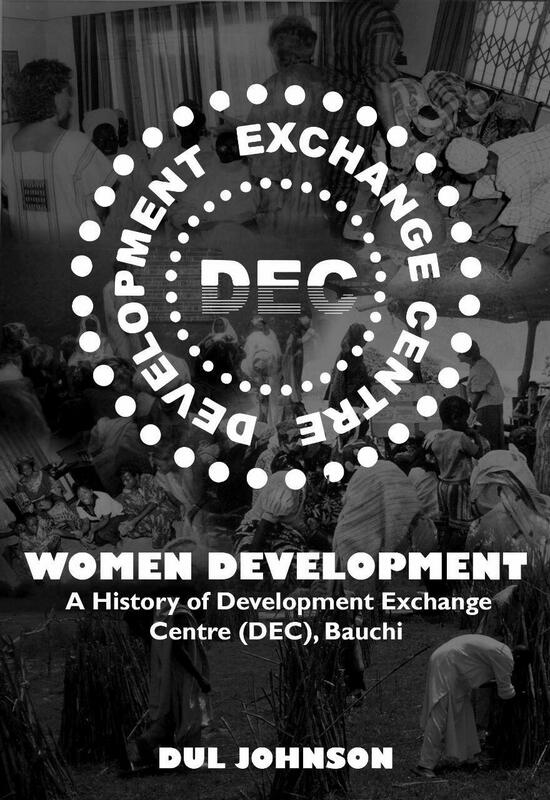 It took less time for you to come up with a new work, two new works in fact, Women Development: A History of Development Exchange Centre (DEC) Bauchi (published last year), and Across the Gulf, published this year. It is nice to have you writing more. Both of them are significantly different as one is non-fiction, more of history and facts while the other is fiction. What is your general writing schedule like and what was the experience like writing Women Development? I was in a Residence (Ebedi) writing Across the Gulf when I got the call to work on Women Development. I then tried to finish the draft of the novel before embarking on the non-fiction. But, as you know, with fiction, the writing never stops. Well, for me, it never stops until I become afraid of touching it. Or when my draft readers say, don’t touch it again, lest you spoil it. In summary, I was doing the writings simultaneously at a point, both having deadlines to meet. The difference was that I imposed the deadline for Gulf while the client imposed that of Women Development. As it turned out, I did not meet both deadlines, but I disappointed myself more, for other reasons beyond editing. Switching between the two was not just fun; it was also therapeutic. The one provided succor after the beating by the other. Then, at a point I had to abandon Gulf completely in order to finish Women Development, which had become very urgent as the second and final deadline stared me in the face. With creative work, I write best in the wee hours of the morning. With non-fiction it is always an all-day affair. I could stay late on it, but I cannot remember waking up at 3 or 4 am to work on that book. To be honest, writing Women Development (a non-fiction) was very frustrating because I couldn’t manipulate any characters or even the plot. When I tried to give it a bit of literary approach so as to spice up the story, I met with stiff opposition from some of the subjects of the book. That increased the frustration. From a writer’s point of view, I thought I ended up with a rather stiff history – but I am not the audience of the book. 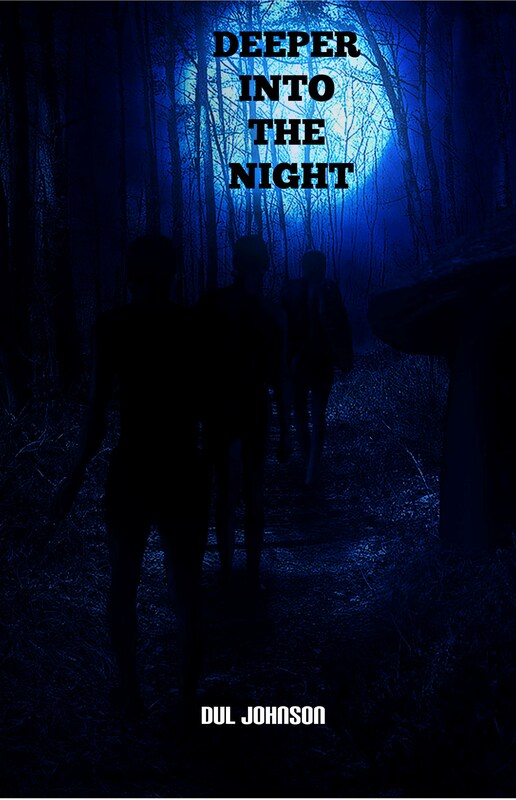 Your recent novel Across the Gulf is a total departure from your previous novel, Deeper into the Night, as it narrates a story set in the Biafran (Nigerian Civil) war, a theme that seems to run significantly in your collection of short stories, Shadows and Ashes. It’s rather interesting that you’ve woven the story in the web of love, culture and other communal struggles. What informs this now dominant thematic interest in your writings and is there a special reason why you’ve recreated a historical tale that dates back to over 40 years now? I have heard it said that when we write from inside us (meaning, when the story has its life from our personal experience) the story is strong and more real, more believable. That seems to be the case with my war stories – those in Shadows and Ashes, and that in Across the Gulf. 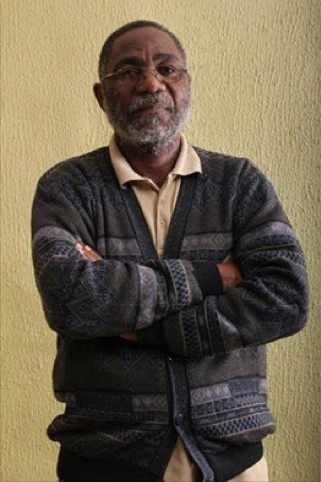 I was 12/13 when the Nigerian Civil War began (with the events leading to the full-blown war). In addition to that, I had three brothers in the war, two of whom did not come back. I had many cousins, neighbours and friends that went to the war and many did not return while those who returned had their humanity damaged in one way or another (physically and mentally). I grew up with the distrust that developed between peoples of the “North” and the “East”. Suddenly my mind was to be twisted to believe that some of the kindest people I had met in my life were now my enemies. I couldn’t understand that. I couldn’t believe it. It was just not possible to digest and absorb such stories. And then my brothers did not come back, and it begun to seem like it was true that those good people had actually become enemies. And all these, happening at that age! There was no way these could not remain with me for life. I have not written my war stories. There is one big one coming, one that I had nearly ruined as a short story. So, to answer the question about recreating a historical tale, I can only say that it is not a new story, that it is a story that has been with me for decades. I have, since after the war, been interested in how the war affected those who did not fight as well as those who fought and came back but the memories still haunt them. 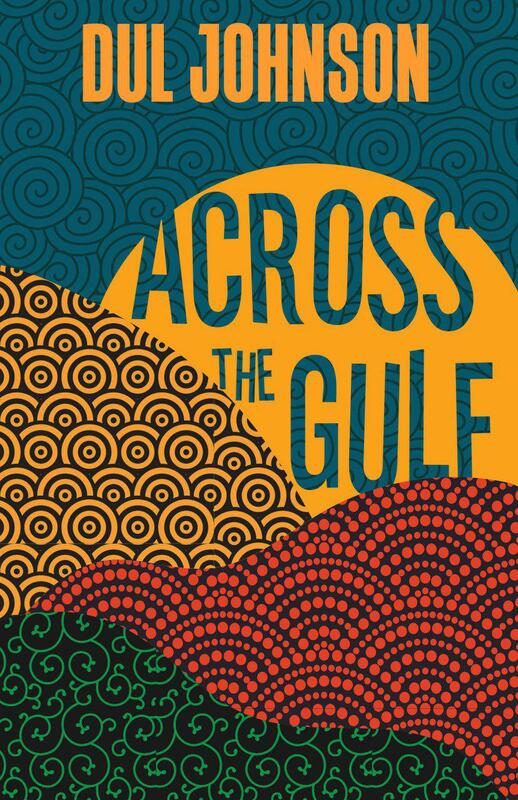 The plot for Across the Gulf is engaging with suspense, surprises and coincidences. 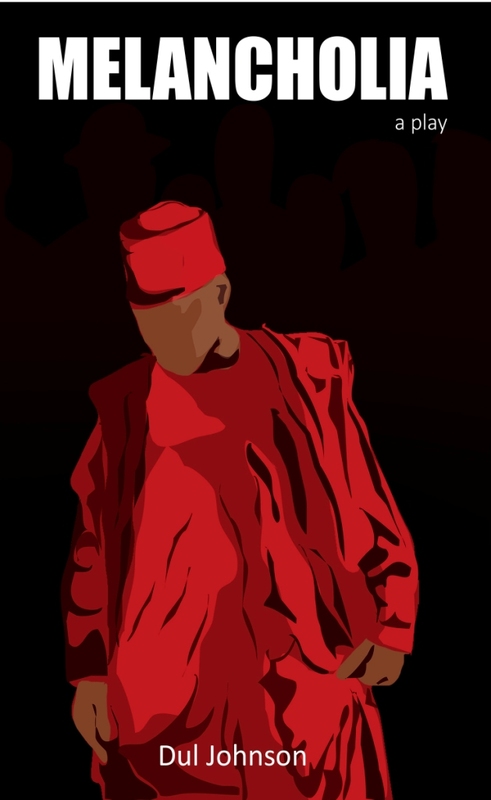 Ofala is engaged to Ifunanya and he gets to leave for the war on the eve of their wedding. Somehow, she falls into trouble and is saved by Janbut (an ‘enemy’ soldier), who looks like Ofala. Is there more to these seeming coincidences and resemblances ‘across the gulf’ in the novel? If there is more to these, it is the fact that, in some fundamental ways, we are all like one another, that there are connections between us – some we know, some we don’t. I also mean to say that the things that divide us are the same things that unite us; that we are not really that different from one another. I don’t know if I was able to pull this through. But that should be left to the readers. In fact, the readers are in a better position to answer this question. Across the Gulf is a pregnant book that leaves a lot of questions, especially with the ending. Is there a sequel to the book? Every reader has asked me that this question. I have given them all a satisfying answer. But whether the answer is true or not is another matter altogether. The book does not only have a sequel; there is even a prequel, and I have started with the prequel. But right now I am trying to find the time and space to work. That would help me do the two drafts. (Is there a sponsor somewhere?) I promised my readers the two, and that way, I am forced to try to fulfil my promise. I will do my best. 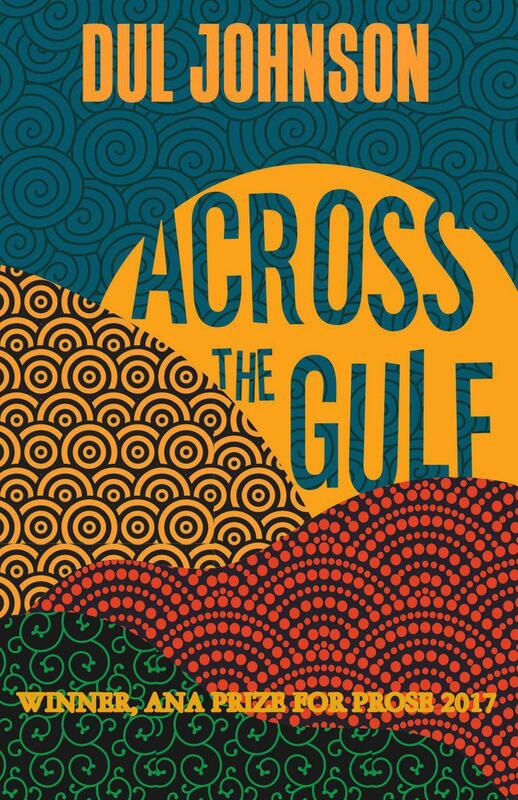 What was the writing experience like for Across the Gulf and how has the reception for the book been so far? Let me start from the end. Across the Gulf has had incredible reception, far more than I have expected. I have had to accept readers’ judgment that it is a better book than Deeper. But I know why and how. It is written in the fashion of a thriller and does not task the brains of the readers. Deeper into the Night demands the reader to meet it halfway in order to fully appreciate it. Gulf requires no labour and no special skills to read it. I can fully understand why it has enjoyed such tremendous reception across all ages and classes of readers. Now, to the first question. The first draft of Gulf was written around 2000, I think. And then it was abandoned until 2015 when Ebedi International Writers Residence gave me the opportunity (the second) to go and work on it. For one week (out of the three I spent) I tried to work with the draft, but found that it was not working. Then I decided to start all over, using the material in the draft but plotting the story as something entirely new. I adopted the method of working out a chart for every event in the story – events that represented chapters or units – and writing at random, picking any event that excited me, that I enjoyed writing. Any event that was complicated or too much of a brain-twister had to wait for a more convenient time. Although it was experimental for me, adopting this method was more than fun; it made the writing faster, somewhat easier, really. You have a firm grasp of plot, language and description, which of course, seems to have come from experience and your vocation/profession as a filmmaker and an academic. In what ways have these influenced your writing? A great deal. The critic part of my academic side is always at work when I am writing. I am constantly asking myself the questions I would ask my students about any work as we analyse it – about the plot, the language, about the characters – are they working or not? Would the reader feel for this character? Am I placing the reader on the page with this description and narrative? Is this language or dialogue appropriate to this character? On this last question, I think I have failed my fans many times. I will try to do better next time. My filmmaker side is largely responsible for my plotting and description. It doesn’t quite work for fiction, but I always try to engage the trick of getting into the scene (action) when it is hottest and getting out before it gets cold. This helps to keep the chapters (or section) high on action. And then, of course, as a filmmaker, I’m always looking for pictures, images. Without these, it is difficult for a story to remain in the mind of the reader. Do you have a dominant ideology as a person? If yes, do you infuse into your writings; why and how? If I have any ideology, it is that every people’s culture is their identity and their being, and therefore must not be subordinated to any other. I think it infuses itself into my work rather than me infusing it. A true and dominant ideology would take control, take charge of one’s thoughts and actions, which are the resources at the writer’s disposal, that give form and meaning to one’s work. Beyond this, I don’t have any ideology. What’s your take on language and diction in the art of writing? The whole idea of writing is to communicate. When you don’t communicate, you fail to achieve even the most basic function of literature, which is to entertain. But any serious writer wants to go beyond entertainment and pass a message to the reader. And because one always has an audience in mind, language and diction (which, in this context mean the same thing) play a major role. Language and diction must be appropriate both to the subject matter and the audience. Wrong choices can blur meaning and alienate your audience. Which kind of books would you be caught reading more often and why? If by that you mean genres, then I would say that you would catch me reading novel, and kind of novel from any part of the world, most likely an old classic. A novel is the real window to worlds and lives and histories. A novel is a travel partner and a bedtime companion. We cannot say the same thing for plays. Poetry is even more limited. I read it when I come upon it, or when it gets into my hands newly. But that is all about it, no more. As we draw close to the end, can you give us a brief insight into your writing background? Also, who are your favourite authors and are there writers who have influenced you and/or your writing? I thoroughly enjoyed moonlight stories as a little boy. My mother was a great storyteller, and she told us many stories. Much later in life (when I had started writing) I got her to retell many of those stories, which I recorded in two audiocassettes (3 hours). Many years later, I found out that everything on the cassettes disappeared! The point here is that I developed interest in stories right from the cradle. But the real practice started when I was in Secondary School, Form Two, I think. 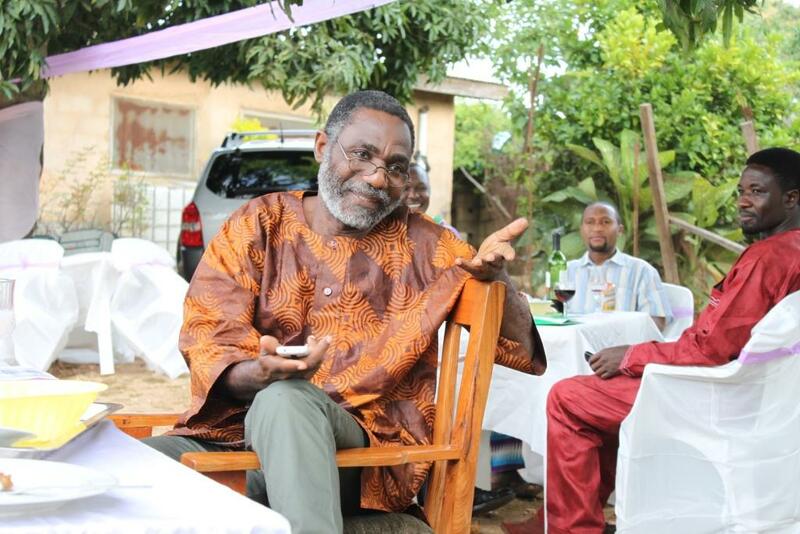 I stated to write a story that was modeled on Camara Laye’s African Child, because my childhood was very similar to that of the hero of his novel, which was actually his, as I later learnt, the novel being autobiographical. I didn’t finish the story. In my undergraduate days, I went into writing a lot of nonsense, which I thought was poetry. I soon abandoned that and went into drama more seriously and added fiction in my final year. This was in 1978/9. I have continued to write drama and fiction simultaneously since then. My favourite authors are Ayi Kwei Armah and Ngugi wa Thiong’o. if I have been influenced by any writer, I am not conscious of it. What are you working on currently and what do we expect from you in the nearest future? I am working on multiple writing projects, which is to say that I am doing nothing in particular, or better still, nothing at all. To have three irons in the furnace is to ask for a disaster. But, haven’t some gods of creativity been associated with disasters? In my furnace are the prequel and sequel of Across the Gulf, and a story about my experience in America. But there is also a book on creative writing. I will try to get them out while I’m alive. So, they will come, in the future. But whether that future is nearest or farthest is to be left to the reader’s interpretation. It would have been easier to just say, “Go, and sin no more”, where sin is the neglect of literature. But, would this reader be the right person to talk to? Maybe, Yes. And maybe, No. so, I should just say that it is the responsibility of all of us, writers, readers, and educationist, to spread the gospel that a people who neglect their literature are bound to become slaves to other people, which is worse than perishing. As I said earlier, literature carries a people’s culture, and history, their identity. These are to be neglected at the people’s peril. And yes, what else do you want? 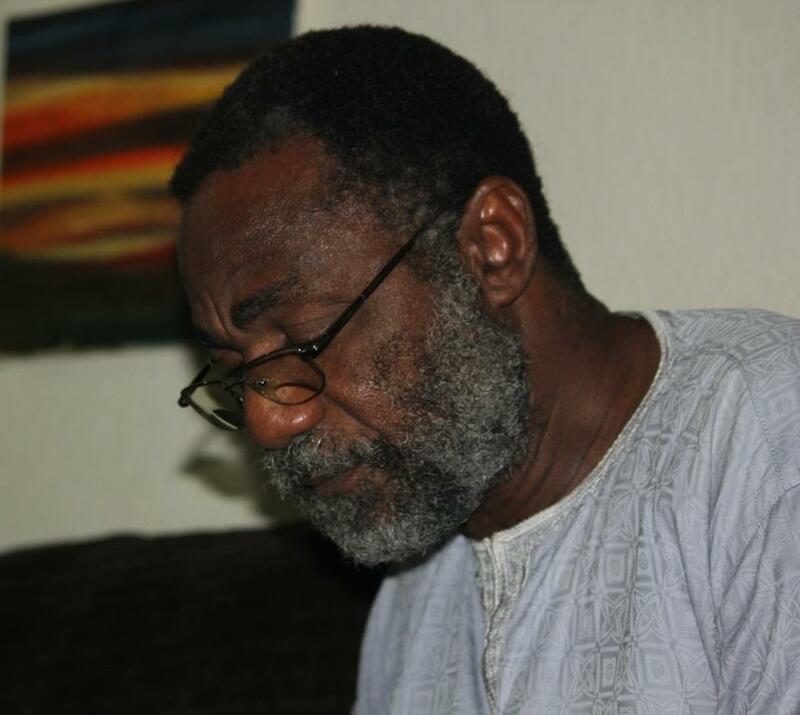 Posted in Book Review, INTERVIEWS, MEET THE AUTHOR, New Nigerian Literature, PROSE, REVIEWS, SEVHAGE Conversation Serie, SU'EDDIE WRITESTagged Across the Gulf, Dul Johnson, Inspiration, Su'eddie Vershima Agema, Torkwase IgbanaBookmark the permalink.